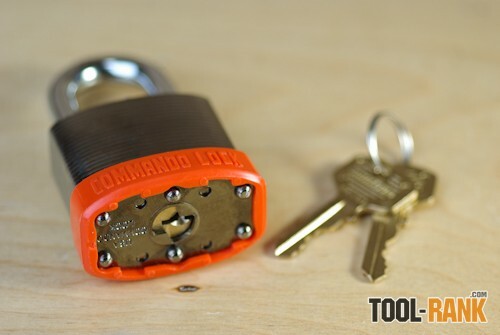 While most locks in this price range only offer 4 pin cylinders, Commando Locks not only give us a 5 pin cylinder, but they also made them security pins. As you can probably guess, more pins and security pins make it a better lock. Security pins are a way to make a lock more difficult to pick. While regular pins are like straight rods, security pins are shaped like a mushroom, spool, or barrel and are designed to give the picker a false set. 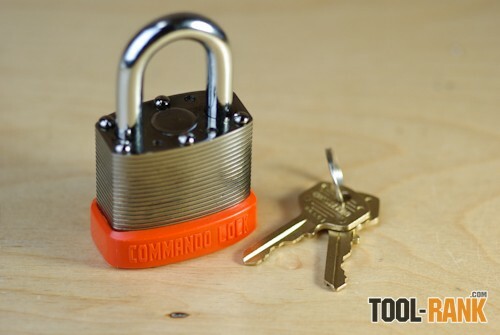 Another thing that Commando Locks does is use each style of security pin in their lock to make one pin feel different to the next, in an attempt to further throw off the picker. I am no expert on lock picking but I have picked them before when keys were lost. When I gave the Commando Peacemaker a try it took me about an hour to pick the first time, and half that time on the second attempt. 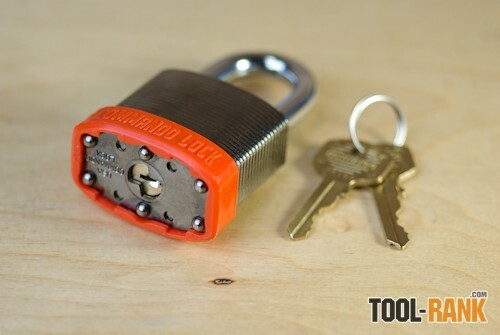 In contrast, a well-known lock maker sells locks that I have seen protecting tools on many a jobsite, and I can pick them in only a few seconds. Which would you rather have protecting your tools? As you can probably tell from the picture the Peacemaker is a laminated lock, meaning that its body is made up of several layers of metal. These layers are held together with rivets at the top and bottom. Now you might be thinking that you can just cut off the rivets and the lock will fall apart, but that is not the case with the Peacemaker. Each of the rivets on the lock are also countersunk into the layers of metal. So even if you cut off the rivets, you would still have your work ahead of you. 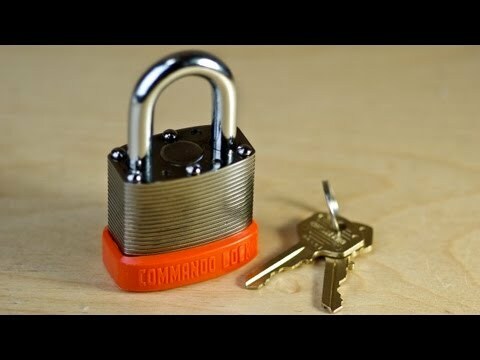 You can find out even more specifications and features of the Peacemaker lock in the video below, but I think you get by now that Commando is not messing around. The orange bumper on the bottom is what makes this the safety series version of the lock, but they also have a standard black version and they also have a longer 2 ¾" shackle vs the 1 1/8" they sent me. Right now many of their locks are on sale and the Peacemaker is only $12.10. Did I also mention that their locks are made in the USA? Can't leave that part out.